By now, every translation app should offer speech-to-speech translation. Microsoft closed that loophole on Tuesday, upgrading its Bing translation app (shown above) to add spoken-word translations. 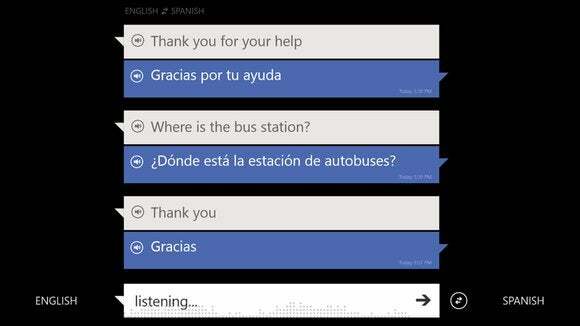 Microsoft has offered speech-to-speech translation capability as part of its Bing Translator app on Windows Phone for some time—and speaking to a phone makes sense. Hauling a laptop or a Surface tablet around to do the same, unfortunately, seems like wish fulfillment on Microsoft’s part. 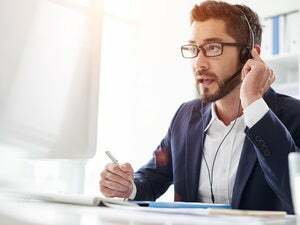 About the only scenario I can envision for real-time, speech-to-speech translation via a PC is using the PC to “talk” via a phone call to a rural part of the world whose residents don’t speak your native language—and I’m not even sure that would work. Fortunately, Microsoft’s Translator app for Windows also offers a visual component, translating signs and text, which it added last June. With that said, however, there’s really no reason not to bring the Bing service to Windows as a native app, especially if it would otherwise reside in a web service that would be even more awkward to use as a webpage. Microsoft also said Tuesday that it had issued improvements to the Windows Phone Bing Translator app that brings improved speech functionality for better quality and responsiveness of translations, and a better user interface for downloading offline language packs. 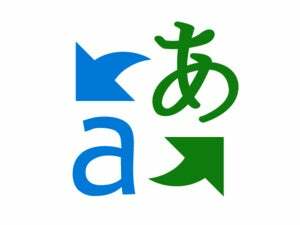 And that’s the approach we’d recommend: if you’re a Windows Phone user, download Bing Translator to your Windows Phone as well as the offline language packs for the countries you’re traveling to. While it may be rare to find people who don’t speak a few words of English, one advantage of a translator app is its use in say, smaller museums, where pieces of art or historical artifacts might not be well explained in English. Otherwise, you’re going to look a little silly hauling your Surface everywhere.